Are you launching your first business? The early stages of development can determine your profitability for years to come. It is important that you work closely with a start-up mentor organization to increase your chances of success. Depending on the type of business, the 'New Business' phase could last anywhere from one to five years. Now that you're up and running, you may be looking to secure additional resources or a network of professionals to support further growth. If the organizations in this guide don't have what you're looking for, they will work to connect you to further support. Even the most experienced entrepreneurs must periodically take a fresh look at their business plan and operations and make significant changes to meet the needs of the ever-changing market. There are local organizations in this guide that are ready and willing to bring a fresh perspective. Still not sure who to contact? Any of the organizational resources listed below will spend time with you to identify the resources you need. The success of your venture is vitally important to our community and our region's future. It is important to determine how healthy the development of your business is. Take this one page questionnaire to see if you're on the right track. Click here for the Business Fitness Check Up. Make an appointment with our office and we'll help you with creating your business and marketing plans as well as a budget. Information on the local market and demographics will help you to plan and target your resources. Over 100 networking events a year will connect you to businesses, residents and the local community. Visit our Calendar for more details. Low-cost marketing, training and educational opportunities. Stop by our office or give us a call at (248) 651-6700 to see how we can better connect you. State-of-the-art information and analysis on economic, demographic and business trends in Southeastern Michigan. Data compiled from a wealth of sources is available all in one convenient site. Continuous and automatic updating means the information is always current. The Southeast Michigan Data Center at Oakland University is founded and led by Economics Professor, Dr. Jonathan Silberman. To see even more demographic and regional data visit the Data Center Website. OU INC is a SmartZone Business Incubator / Accelerator that provides entreprenuerial resources and strategic business solutions for developing ventures and accelerating ideas to market. The OU INC facility hosts the Clean Energy Research Center, Integrated Resource Center, as well as access to the expertise of staff, faculty, students, corporate partners and advisors. OU INC specializes with ventures in the medical device, energy and information technology fields. Visit their website, www.oakland.edu/ouinc to learn more about the client services, capital assistance and program support offered. SCORE, Counselors to America's Small Business, is a nonprofit association dedicated to entrepreneur education in southeast Michigan. SCORE provides free and confidential mentoring services by active and retired business men and women, as well as workshops, templates and tools to help get you started in a new venture. To set up a meeting with a SCORE mentor, please visit detroit.score.org or call (248) 758-9116. 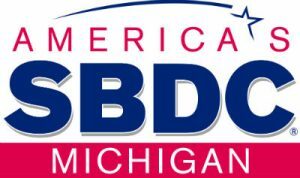 Through it's partnership with the MI-SBDC, Michigan Small Business Development Center, Oakland County Business Service Center offers hands on business and technical services by an experienced staff and network of public and private sector partners. Business owners can receive assistance with developing a business plan, analyzing feasibility studies, marketing, licensing and other questions. Visit www.advantageoakland.com for more resources. For a free appointment, contact Greg Doyle from the MI-SBDC Oakland County Business Center at (248) 858-0783. Automation Alley is a technology business association and business accelerator dedicated to serving Detroit and the surrounding eight county region. Its services include educational seminars, meeting space, counseling, business plan assistance and seed funding options for emerging technology companies. 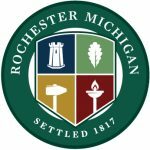 The City of Rochester is committed to working closely with entrepreneurs, business owners, and developers to provide a business-friendly climate while meeting the needs of the community. Additionally, the City has partnered with the MORE Program to connect entrepreneurs to resources to help their business. Click to visit the City's Economic Development webpage or contact Nik Banda, Economic & Community Development Director at (248) 651-9061 to find out more about the resources and incentives the City can offer your business. 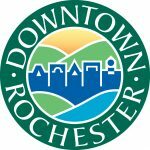 The mission of the Rochester Downtown Development Authority (DDA) is to maximize the economic development potential of Downtown Rochester for the benefit of the community by maintaining an ongoing, comprehensive downtown management program with broad-based community involvement, seeking reuse of historic and architecturally significant buildings whenever possible, respecting the natural environment, and by preserving downtown's overall unique historical character. Want to start a business in downtown Rochester? Contact the DDA at (248) 656-0060. 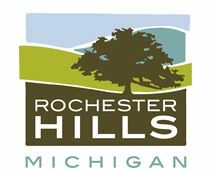 The mission of the Economic Development Department is to work collaboratively to support existing businesses, attract new businesses, grow jobs, create entrepreneurial opportunities and to add value to Rochester Hills' economy. Rochester Hills currently boasts a business cluster with a concentration in automotive, computer-based, and companies engaged in future fuel and other research focused on future technologies. The City's Economic Development team can assist with incentive packages, maps and demographics as well as site selection support. Please contact Pam Valentik, Economic Development Manager, at (248) 841-2577 for further information. The MEDC is a public-private partnership serving as the state's marketing arm and lead agency for business, talent and jobs, tourism, film and digital incentives, arts and cultural grants, and overall economic growth. MEDC can aid you in posting or finding jobs at www.mitalent.org, accessing capital as well as other business assistance services. A Resource for Young Entrepreneurs! You know some of the names of the greatest modern entrepreneurs in history, and studying their lives will without a doubt inspire members of your generation. Maybe YOU are the next Bezos or Zuckerberg. Maybe your life will be the one to inspire the generation following yours. One of the most common traits of successful entrepreneurs is that they never stop learning.